What is a smart card from ZDCARD Tech? 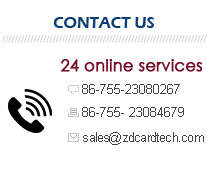 A smart card from ZDCARD Tech is a device that includes an embedded integrated circuit that can be either a secure microcontroller or equivalent intelligence with internal memory or a memory chip alone. The RFID card connects to a reader with direct physical contact or with a remote contactless radio frequency interface. With an embedded microcontroller, contact and contactless cards have the unique ability to store large amounts of data, carry out their own on-card functions (e.g., encryption and mutual authentication) and interact intelligently with a smart card reader. 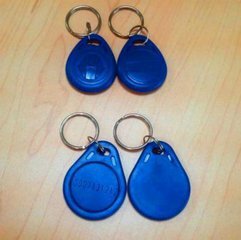 Smart card technology conforms to international standards (ISO/IEC 7816 and ISO/IEC 14443) and is available in a variety of form factors, including plastic cards, key fobs, wristbands, RFID tags, subscriber identification modules used in GSM mobile phones, and USB-based tokens. 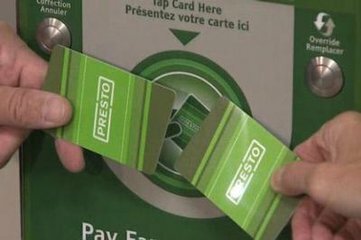 For the purposes of this FAQ, “card” is used as the generic term to describe any device in which smart card technology is used. 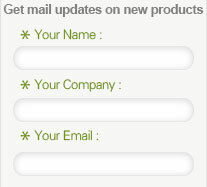 To order smart cards, please contact us.